Norway’s Ministry of Petroleum and Energy took several initiatives towards the offshore sector in 1979-80 aimed at strengthening Norwegian industry. This also benefitted operations at Kongsberg west of Oslo. First, the government took steps with the fourth licensing round in 1979. Aimed primarily at regional development, these required the oil companies to describe how they could establish activities outside the Stavanger area – which was suffering growth pressures. This acquired even greater significance after the Storting (parliament) opened the Norwegian continental shelf (NCS) above the 62nd parallel to oil operations in 1980. Next, foreign oil companies seeking new licence interests on the NCS were required to establish technology joint ventures with Norwegian industry, public bodies and research institutions. Such goodwill agreements (GWAs), also known as supply and industrial collaboration agreements, would be taken into account when assessing licence applications from foreign companies. Those willing to invest in research and development (R&D) partnerships would thereby come first in the queue for the award of blocks on the NCS. The government’s aim was to get the foreign companies to conduct R&D in Norway – and thereby use Norwegian suppliers of such services – rather than in their homelands. GWAs have subsequently been characterised as highly successful. The R&D collaboration they sparked created a golden age for Norwegian scientific institutions and companies. International firms devoted more than NOK 10 billion to research, product development and expertise enhancement in Norway between 1979 and 1994. A survey showed that suppliers were more satisfied with the scheme than the oil companies, which regarded it as an imposition on their operations. It also ceased when the European Economic Area (EEA) agreement with the EU came into force in 1994 and made such special demands on foreign companies illegal. [REMOVE]Fotnote: Wiig, Heidi (1993): Olje mot forskning: en oppgave om goodwillavtalen i norsk forskningspolitikk og teknologioverføring i FoU-samarbeidene, University of Oslo. These official stipulations were a crucial reason why Shell entered into a long-term agreement on R&D collaboration with KV’s oil department as early as 1979. Signed by Roar Rose, research head at Shell’s Norwegian arm, this deal was the first of its kind to be established by a foreign oil company. It clearly wanted to demonstrate that the signals from the government were being taken seriously, and to ensure a place at the head of the queue for licence awards. Shell was the oil company with the greatest knowledge about and longest experience of subsea technology in the world, having worked in this field since the 1960s. The goal now was to develop, build, test and qualify equipment for use under water, particularly with an eye to bringing Troll on stream. Discovered in 1979, this North Sea field contained huge quantities of gas and was being operated by Shell in the development phase. [REMOVE]Fotnote: Aftenposten, 5 January 1984, “Elf og KV med teknologiavtale”. Its agreement with KV and the resources this made available meant that the manufacturing and technical personnel in Kongsberg could learn subsea production from the bottom up. [REMOVE]Fotnote: Daling, Unn Kristin, and Erlandsen, Hans Christian (1999): Offshore Kongsberg 25 år, 1974–1999, 69. KV also collaborated with Elf, which included delivery of engineering services and two Xmas trees for the test facility in the French oil company’s Skuld programme during the early 1980s. That provided valuable experience, and KV had full freedom to continue using this technology. It also won an order from Elf for six subsea wellheads in a template with a manifold system to produce from North-East Frigg in 1981. [REMOVE]Fotnote: www.kulturminne-frigg.no. In 1984, Shell involved KV in a forward-looking project to develop a subsea system which could produce oil and gas from fields in 600 metres of water and beyond. Plans called for this solution to be tied back to a floating platform, with oil and gas being brought ashore by shuttle tankers or pipelines. The aim was for such a system to be ready for use around 2000. Where KV was concerned, this project meant work worth NOK 20 million and further development of its expertise. [REMOVE]Fotnote: Aftenposten, 27 August 1984, “Oljeproduksjon på 600 meters dyp”. According to Tore Halvorsen, who was then a young and promising engineer in KV’s subsea department, the company wanted to apply experience and results achieved jointly with Shell to other projects as well. KV worked closely with Statoil, for example, and wanted to extend solutions developed for Shell to the Norwegian company as well. Collaboration with Norwegian industry aims primarily to develop solutions which will be used specifically for Norske Shell’s involvement on the continental shelf. Once a project has been fully developed, however, our partners are also free to produce and market the specific results where and how they want. [REMOVE]Fotnote: Advertisement for Shell, about 1991. Shell was also willing to share its know-how in other ways. In addition to technical and financial contributions to the construction and testing of prototypes by KV’s subsea department, an educational programme was developed at Kongsberg’s technical college. With Norske Shell providing lecturers, this course contributed to good recruitment of graduates in subsea-related disciplines. One of the lecturers, Briton Bob Frith, eventually became Shell’s technical director in the Hague with responsibility for every aspect of subsea technology. He and Halvorsen collaborated well, and a network was created by them and others between KOS – as the department eventually became – and Shell. That helped to bring the Kongsberg technology to the wider world. [REMOVE]Fotnote: Torvald Sande in conversation with Kristin Øye Gjerde and others, 12 May 2016. 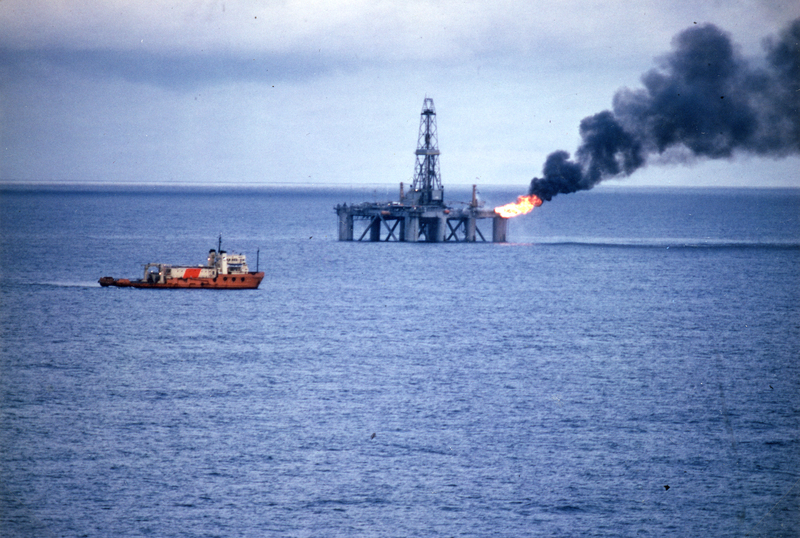 The Borgny Dolphin drilling rig struck oil for Shell on 26 June 1984 in Norwegian Sea block 6407/9, awarded in the eighth licensing round only a few months earlier in March. According to production licence 093, Norske Shell would be operator of this Draugen field with a 30 per cent holding while Statoil had 50 per cent and BP 20 per cent. The oil-bearing zone was encountered about 1 650 metres beneath the seabed. Appraisal wells in 1984-85 indicated that Draugen contained an estimated 250 million barrels (40 million cubic metres) of recoverable crude. Draugen lies in 250-280 metres of water in an area of flat seabed covering no less than 120 square kilometres. That made it hard to optimise recovery with wells drilled from one spot. 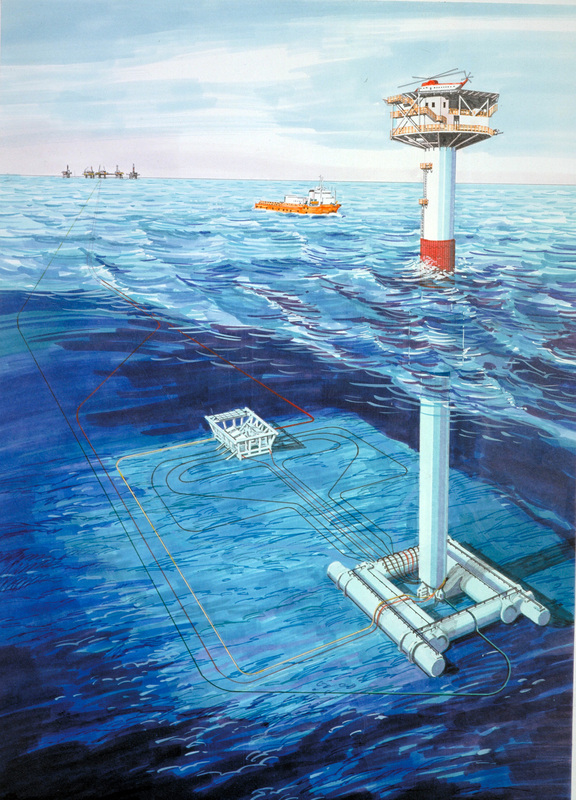 Submitted in September 1987, the plan for development and operation (PDO) of Draugen envisaged a concrete platform with a single support shaft (monotower) and four production wells. Oil would be recovered from a wider area by drilling two subsea producers tied back to the field centre and two water injection wells. 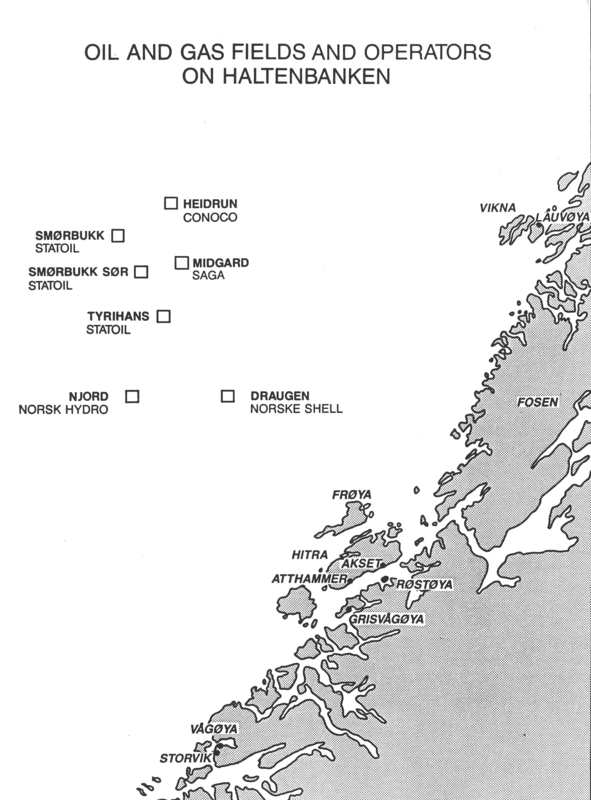 [REMOVE]Fotnote: AS Norske Shell (September 1987): Draugen field, plan for development and operation, figure 5.3.5. No decision had yet been taken on who should build the various components, but KOS quickly indicated its interest where the subsea modules were concerned. The company worked in 1989-90 on submitting a bid to Shell for a complete subsea production system for both oil and gas. This was based on pumping the unprocessed wellstream to the field centre, where a simple processing took place. Plans still called for two subsea production wells, one named Rogn and the other designated the southern oil producer (SOP). 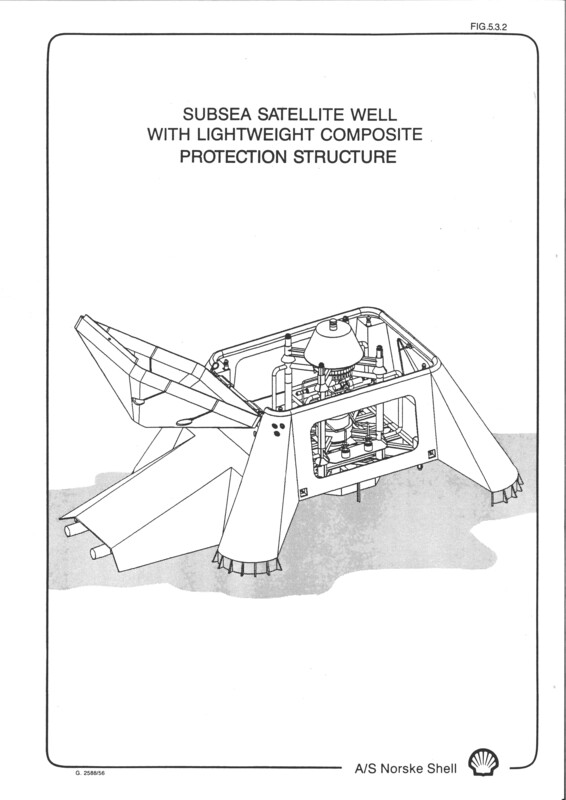 In addition came two templates for water injection with a Shell multiphase underwater booster station (Smubs). These templates each had three slots, with three used on the northern and two on the southern. 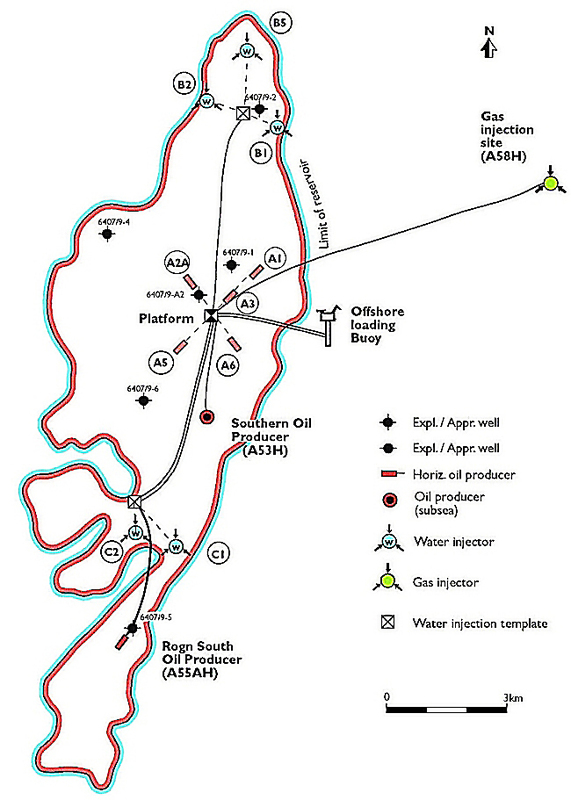 Eventually, a well was also added for gas injection into the Husmus formation (see separate article on gas exports). The bid from KOS was dramatically lower than others – NOK 480 million, with the nearest rival’s offer NOK 300 million higher. That worried Shell, who called the company in for several days of clarification in Stavanger. Halvorsen recalls how unusual this was: “Everything was so secret that we participants were ordered not to fly to Stavanger on the same flight, and to register under aliases at the hotel. To ensure that KOS had not got its bid completely wrong, Shell wanted to conduct a detailed review. The two sides eventually reached agreement, and the contract was placed in 1990. [REMOVE]Fotnote: Daling, Unn Kristin, and Erlandsen, Hans Christian (1999): Offshore Kongsberg 25 år, 1974–1999, 149-150. The most important reason why KOS could make such a low offer was that specifications for the equipment required on Draugen were prepared at the same time as the company was drawing up a similar bid for Statoil’s Statfjord satellites project. KOS saw an opportunity to win both contracts, since it could standardise to some extent. The technical solutions were presented to Statoil and Shell without them being aware of each other. The subsea installations on Statfjord, of course, were actually very similar to Shell’s architecture on Draugen. 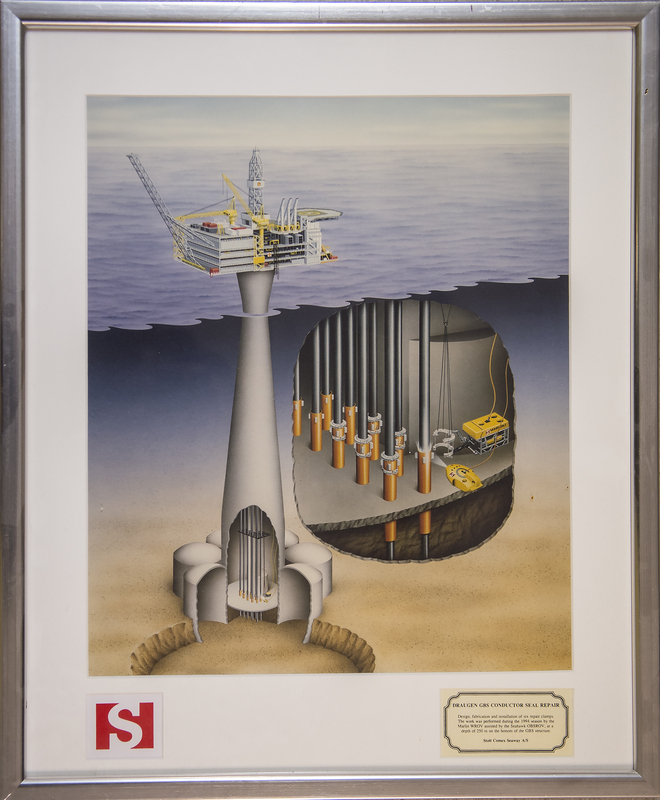 Shell first awarded the world’s largest subsea contract, worth NOK 900 million, in 1989. Then Statoil placed the new contract for the Statfjord satellites, which thereby became the world’s largest at NOK 1.3 billion. [REMOVE]Fotnote: Hans Jørgen Lindland in conversation with Kristin Øye Gjerde and Arnfinn Nergaard, 1 December 2016. KOS secured the job of turnkey supplier for the subsea modules on Draugen under an engineering, procurement and construction (EPC) contract. It thereby had control over design, manufacturing of the subsea equipment both in its own facilities and at sub-contractors, and installation on the field. As mentioned above, this was the biggest subsea EPC contract awarded in Norway at that time. That fitted well with industrial plans at KOS and helped to boost its reputation in the market. [REMOVE]Fotnote: Daling, Unn Kristin, and Erlandsen, Hans Christian (1999): Offshore Kongsberg 25 år, 1974–1999, 150. KOS was taken over in its entirety on 30 June 1993 by the American FMC Corporation through its FMC Norway AS subsidiary. Renamed FMC Kongsberg, it made great progress and secured 40 per cent of the global subsea market during the 1990s. The Draugen project bore fruit for a number of other companies. The work included nine subsea trees and seabed templates with manifold and control distribution system. Fabricated at Dunfermline in the UK under FMC’s control, the trees had electrohydraulic controls. All the subsea equipment was designed for diverless installation, operation and maintenance, with great emphasis therefore placed on standardisation. Components had to be simple to connect, reducing the number of intervention tools needed. Comex Norge had the contract to install the two templates, and used the MSV Amethyst crane ship for this job. The templates were fabricated at the Kaldnes de Groot yard in Tønsberg south of Oslo as subcontractor to KOS. [REMOVE]Fotnote: Aftenposten, 18 February 1992, “Draugenkontrakt til Comex”. Figure 5.3.2 from Draugen field, Plan for development and operation, 1987. The world’s first underwater pump capable of driving an unprocessed multiphase wellstream mixing oil, gas, water and sand in the same pipeline was installed on Draugen. This aimed to overcome one of the challenges facing subsea oil and gas production ­– the distance output can travel between well and platform is restricted by pressure and flow conditions. The problem increases as reservoir pressure declines over time. [REMOVE]Fotnote: Bergens Tidende, 1 April 1992, “Mohnpumper gir ny oljealder”. So Framo Engineering’s technical innovation was installed to maintain pressure in the reservoir and thereby boost recovery. It was placed without diver assistance in 275 metres of water on a subsea well six kilometres from the platform. Shell was the first customer for this new concept for water injection from the company, which was spun off in the mid-1980s from the development department at pump specialist Frank Mohn. 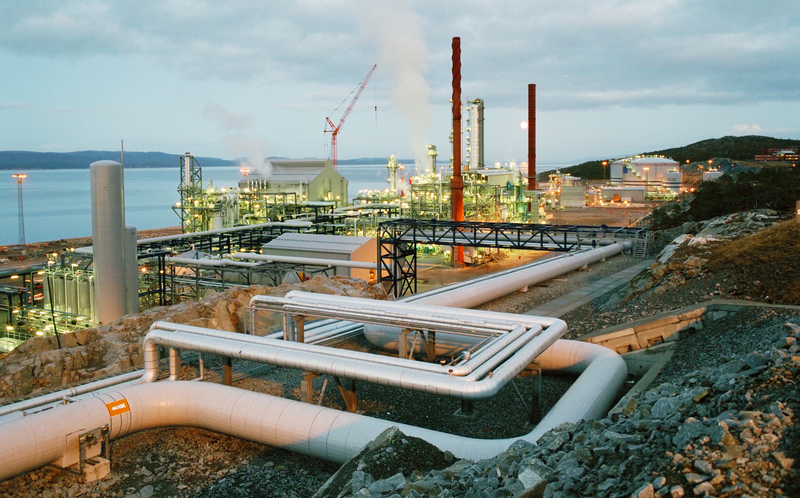 With Martin Sigmundstad as its first chief executive, Framo Engineering began working with Norske Shell as early as 1986 to develop various concepts for pumping multiphase wellstreams. This groundbreaking Smubs solution was tested for the conditions prevailing on Draugen in Framo’s test facility at Fusa outside Bergen. Performance trials were also conducted at Frank Mohn Flatøy’s test facility for multiphase pumps. System integration of the device was a technological breakthrough in Norway and worldwide. NOK 30 million had been devoted to developing the device by 1990, while the contract for the Draugen pump system was worth NOK 15.6 million. The pump was hydraulically driven by the pressure of the water passing through a hydroturbine before being conducted to the injection well. This concept is based on maintaining a high rotational speed to generate pressure through the use of contra-rotating axial (CRA) technology. Template / manifold system for the water injection wells on Draugen. Figure 5.3.4 from Draugen field, Plan for development and operation, 1987. Known as the high speed approach, that allows the wellstream to be compressed and pumped without having to separate its components. The same outcome was accomplished in traditional pumps over several stages with more equipment. Framo’s pump needed less space and was lighter than conventional devices. Statoil, Mobil, Total and the French IFP petroleum institute contributed financially to a further development of the multiphase pump. Tore Torp from Statoil’s research centre in Trondheim said that this product created “the basis for a completely new way of thinking over oil production in the North Sea. Speeding up a wellstream creates an underpressure on the pump’s suction side towards the reservoir, which means the oil flows up more readily and the recovery factor increase. 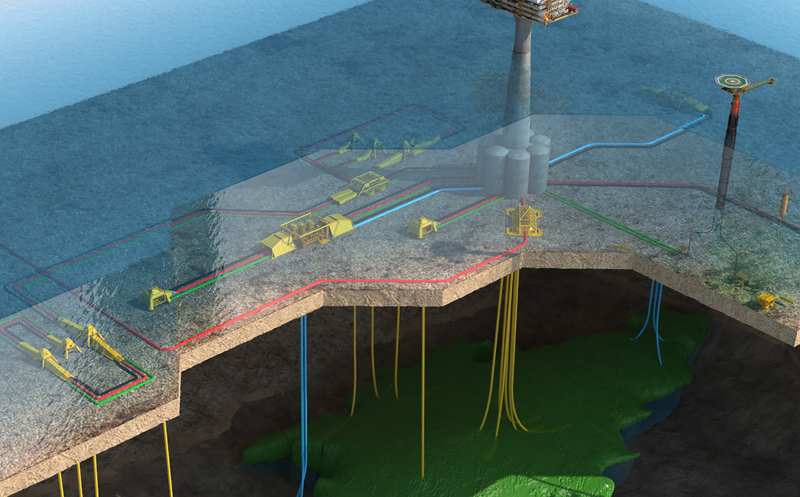 Statoil was confident many new fields would be developed with subsea solutions now that this technology was available. [REMOVE]Fotnote: Dagens Næringsliv, 31 August 1990, “Draugen får verdens første flerfase pumpe”. Around 1990, Smubs was restricted to transport over a maximum distance of 50 kilometres. According to Shell communications manager Einar Knudsen, the goal was to carry oil and gas direct from the wellhead to a processing plant on land. Continued research to extend the transport range was a goal not only for Shell but also for a number of oil companies who saw opportunities to save money – not least by direct landing. Nevertheless, the Framo pump failed to live entirely up to expectations. It unfortunately transpired that the power needed reduced water injection and thereby oil recovery. The pump therefore remained in operation for no more than six months. 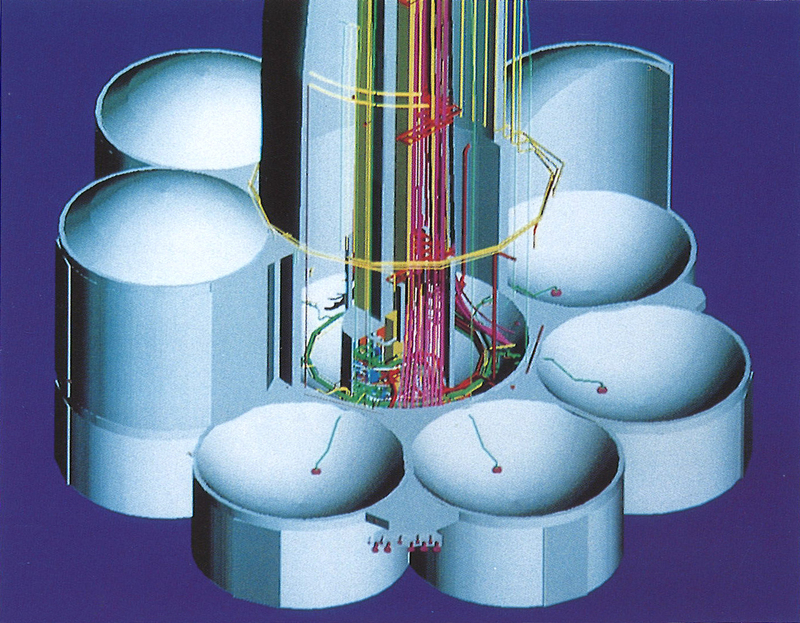 Shell nevertheless contributed to marketing the multiphase device on the world market. As mentioned above, Frith made a big personal contribution to establishing a KOS-Shell network. [REMOVE]Fotnote: Torvald Sande in conversation with Kristin Øye Gjerde and others, 12 May 2016. The oil major also helped to market Framo’s pump by including it in the Shell International vendors list, exchanging press releases and so forth. This created interest for the product in the USA. Esso, Texaco and Agip also used equipment from Framo and helped to spread sales of multiphase pumps to the UK, Australia and Malaysia. [REMOVE]Fotnote: Norsk Oljerevy no 12, 1990, “Esso/Shell klarer det: Hjelper industrien ut”. Everyone has seen photographs of coral reefs in tropical seas, swarming with life of every colour and shape. But many people are unaware that coral reefs also exist off the Norwegian coast. Norske Shell was operator for this groundbreaking project in block 6407/9. This acreage was covered by production licence 093, awarded in 1984 as part of the eighth licensing round. Norske Shell owned 30 percent, Statoil 50 percent and BP 20 percent. That part of the Norwegian Sea where Draugen was discovered has a distinctive geology. In the exploration phase, a lot of geologists thought no hydrocarbons had formed there but could have migrated from areas of the Halten Bank where discoveries were already made. Strata of interest lay at shallow depths in the sub-surface. Attention was concentrated on an area where seismic surveys showed signs of a heightening. These assumptions proved correct, and Draugen was found in a reservoir rock with good production properties. It was primarily an oil field, but with small quantities of associated gas. [REMOVE]Fotnote: Lerøen, B., & Norske Shell. (2012). Energi til å bygge et land : Norske Shell gjennom 100 år. Tananger: A/S Norske Shell. : 173–74. Oil could be shipped from the field by shuttle tankers, but the question was how the gas should be dealt with in an area entirely without pipeline infrastructure. This question will be addressed in more detail in this article. A study of transport solutions for oil and gas from the Halten Bank area of the Norwegian Sea was initiated in 1985. 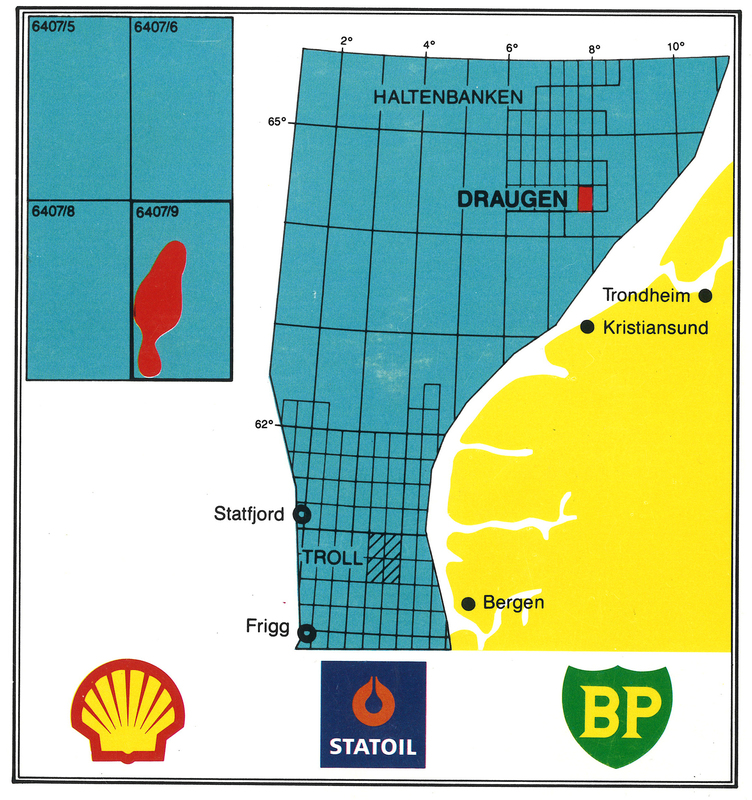 Draugen was assessed for development at the same time as Heidrun, operated by Conoco. The Halten Bank had a number of proven gas resources – Midgard, Tyrihans, Smørbukk, Smørbukk South and Njord – and more were possible. So the basis existed for a degree of coordination. In a letter of 24 February 1987, the Ministry of Petroleum and Energy (MPE) asked the five operators in the area to produce a joint study of the landing issue. This was presented in September. Offshore loading was recommended by Statoil, Saga Petroleum, Conoco and Shell as the most favourable solution in financial terms for oil. Based on its own studies of the opportunities for such a solution, Norsk Hydro recommended pipeline transport of crude oil to a terminal on land. Where gas was concerned, the companies would eventually have to come up with a landing solution for the Halten Bank. But it was uncertain when this might happen and what the choice would be. 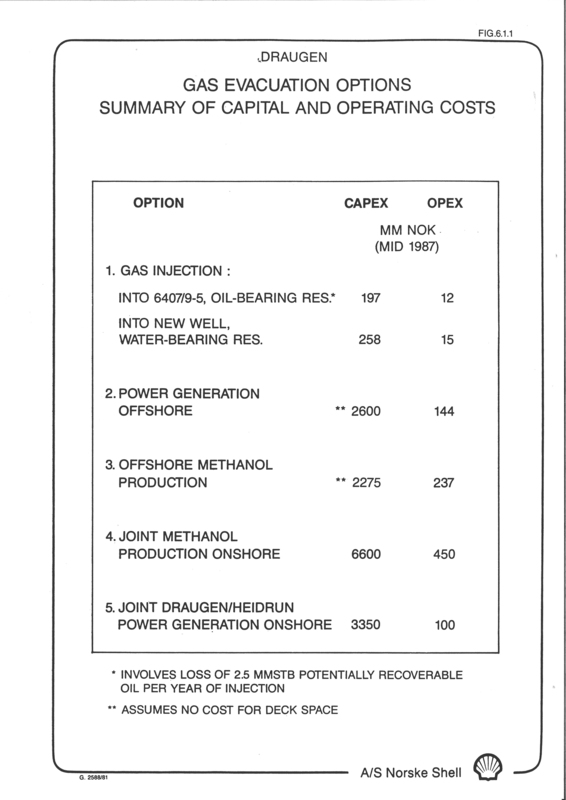 Shell and the MPE had several discussions in 1988 on how to deal with the associated gas in Draugen. The ministry wanted to order the licensees to find a long-term solution based on a gas-gathering system for a number of Halten Bank fields, including Heidrun. Each company’s investment should be proportional to the capacity required. [REMOVE]Fotnote: Letter of 14 December 1988 from the MPE to the standing committee on energy and industry of the Storting (parliament). Another issue was how the gas would be used. 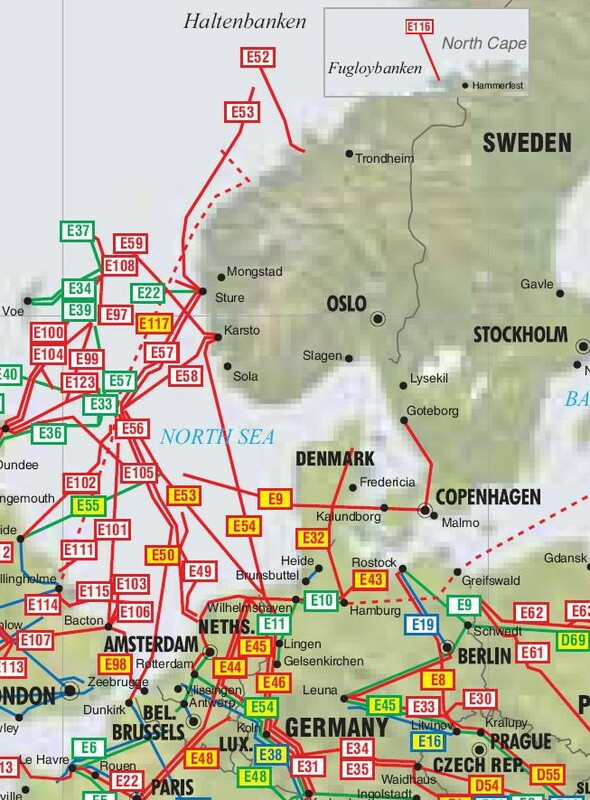 Statoil, who had played a leading role in the work on developing the pipeline network on the NCS, led studies on the gas market and where a possible terminal should be located. Statoil and the Norwegian Water Resources and Energy Directorate (NVE) had already collaborated for a time on studying a possible gas-fired power station in mid-Norway. [REMOVE]Fotnote: NTB, 6 March 1986, “Statoil og NVE vurderer gasskraftverk”. If built, such a facility would rank as the biggest in Europe – and 30 times larger than the hydropower station at Alta in northern Norway, completed in 1987 after extensive protests. It could have an annual capacity of 15 terawatt-hours (TWh). Both the Swedish and Finnish state power companies showed great interest in imports, and discussed this with the NVE management. [REMOVE]Fotnote: Aftenposten, 27 November 1986, “Gasskraftverk planlegges i Midt-Norge”. Where the gas should be landed was a key question. Five options were identified, spread between three counties: Nord-Trøndelag, Sør-Trøndelag and Møre og Romsdal. How much gas would be landed was still unclear, so three of possibilities were investigated – including a minimum option involving 0.7 TWh of electricity capacity for local consumption. The others were a large 2.5 TWh gas-fired power station with exports to Sweden, and a maximum option which included gas exports to potential markets as well as electricity generation. These solutions were based on one, 3.5 and eight billion cubic metres of gas per year respectively. [REMOVE]Fotnote: Norske Shell AS, Draugen – konsekvensutredning, 1987: 56. Storting proposition (Bill) no 56 (1987-88), based in part on this study, assumed a gas pipeline from Heidrun and Draugen with an annual transport capacity of one to 1.5 billion cubic metres. Running to a land terminal and feeding a gas-fired power station, this option was costed at NOK 2.5 billion. One billion cubic metres of gas per annum could lay the basis for 4.5 TWh. Another solution was to use the gas as feedstock and energy for industrial production. In the longer term, selling gas to Sweden through a pipeline via eastern Norway was one option. Sales of gas-based electricity to Finland/Sweden offered an alternative, while a tie-in to existing pipelines in the North Sea and sales of liquefied natural gas were also discussed. [REMOVE]Fotnote: Storting proposition no 56 (1987–88) Innfasing av feltutbygginger i årene fremover. Utbygging og ilandføring av olje og gass fra Snorrefeltet. Item 17. Norway’s gas negotiating committee (GFU), comprising domestic oil companies Statoil, Hydro and Saga, held talks in 1989 with the Swedish authorities on gas deliveries from the Halten Bank. These negotiations concerned 2.5 billion cubic metres of gas per annum from 1995. However, the Swedes set demands which were difficult for the GFU to concede. They wanted at least one of the fields supplying their gas to be below the 62nd parallel. But the relatively modest volumes involved from the mid-1990s made pipelines from both the Halten Bank and the North Sea uneconomic, so the talks failed. Sweden’s demand reflected the fact that deliveries from the Halten Bank alone would provide insufficient security of supply – particularly for power stations intended to use part of the gas. The Swedes took the view that delivery regularity would be much better from the North Sea. Halten Bank gas via a land terminal to the Gothenburg area would be too vulnerable when maintenance was required, and shutdowns might occur at several of the hubs along the way. Developments based on subsea solutions did not reduce the risk. The Swedes felt the North Sea had more fields and delivery options. They turned their attention instead to alternative deliveries both from the Soviet Union and from or via Denmark. [REMOVE]Fotnote: Dagens Næringsliv, 14 October 1989, “Svenskene vil ikke ha Haltenbanken”. Shell’s original plan for Draugen involved controlled gas flaring during the initial production years. That was clearly stated in the plan for development and operation (PDO) submitted to the government on 22 September 1987. The company noted that associated gas from the field could be landed through a gas-gathering pipeline and used for electricity generation. However, it would be a long time before the necessary gas-fired power station was ready and the best and cheapest solution in the interim was flaring on the field. The Draugen licensees had also conducted studies which showed that the gas could be injected in a separate formation, but this was regarded as too expensive. A solution involving gas reinjection could moreover only be possible for about three years before having a negative impact on oil production. The flaring proposal attracted criticism. Daily paper Bergens Tidende presented it under the headline “Energy corresponding to six Alta power stations to be burnt on Draugen”. According to the accompanying story, “Key players in Norway’s oil community characterise … Shell’s plans for the Draugen field as pure madness, and propose that this development be postponed until the second half of the 1990s”. “Were the licensees at a later time to oppose participation in a gas transport system on terms which the government found it needed to set, production from Draugen could be halted by the authorities to avoid wastage of petroleum”. [REMOVE]Fotnote: Storting proposition no 1. Supplement no 2. Utbygging av Draugenfeltet og lokalisering av drifts- og basefunksjoner for feltene Draugen og Heidrun: 35. Uncertainty over the choice of a gas solution for Draugen meant that the ministry wanted to postpone a development decision for up to a year. [REMOVE]Fotnote: Storting proposition no 56 (1987-88) Innfasing av feltutbygginger i årene fremover. Utbygging og ilandføring av olje og gass fra Snorrefeltet. Item 17. Shell was not happy with that. Delay was the last thing it wanted, and the company quickly revised its plans for flaring. Bergens Tidende could now report: “Shell will be withdrawing its own proposal to base development of the Draugen field on flaring the gas. Instead, [it] will return the gas to the reservoir. In that way, the company hopes to move up the Norwegian Petroleum Directorate’s development queue”. [REMOVE]Fotnote: Lerøen, Bjørn Vidar, Energi til å bygge et land. Norske Shell gjennom 100 år, 2012: 176–77. Gas flaring was no longer a relevant option in the 1988 recommendation from the Storting’s energy and industry committee on developing Draugen. The committee emphasised that, even though the quantities of gas involved were relatively small, flaring them would not be permitted for environmental and resource management reasons. Its recommendation assumed that, until the gas could be sent ashore through a pipeline from the Halten Bank, it would be injected in the Husmus aquifer about 10 kilometres from Draugen. This process could continue for about three years, and calculations indicated that 75 per cent of the gas could be produced later. Moreover, opportunities existed to extend gas injection for a further three years by utilising a neighbouring formation. [REMOVE]Fotnote: Budget recommendation to the Storting no 8. Supplement no 2. (1988–89) Innstilling fra energi- og industrikomiteen om utbygging av Draugenfeltet og lokalisering av drifts- og basefunksjoner for feltene Draugen og Heidrun. Tropical reefs are found in shallow seas with clear water and good light conditions – perfect for observation by diving or snorkelling. The banks found off Norway grow in colder seas with plenty of current in 100-500 metres of water. They can also be colourful and beautiful, and serve as centres of diversity for marine species. However, they are far harder to observe. Photographing or filming them usually requires special equipment mounted on a remotely operated vehicle (ROV). As a result, it is only in recent years that knowledge of these coldwater coral communities has become more detailed. Coral reefs are built up from calcareous “skeletons” formed by tiny polyps living in colonies. Photosynthesising algae which live inside the polyp cells need sunlight to function, which is why most corals are found in clear shallow water. Reefs will not form off the mouths of big rivers such as the Amazon, for example, because of all the particles carried in their water from erosion of the hinterland. [REMOVE]Fotnote: Store norske leksikon, https://snl.no/korallrev. Coral reefs off Norway are built by the coldwater coral Lophelia pertusa. This grow along most of the Norwegian coast, apart from its southern end, Sogn og Fjordane county and the northernmost part of Finnmark county. Currents and environmental factors are the most likely reasons for the absence of reefs along these sections of the coast. The flow of Atlantic water is particularly important for growth. Since Norway’s corals account for 30 per cent of the global total of L pertusa, its seas are regarded as a core area for this species. All coral reefs off Norway are now covered by a general conservation order which prohibits any harm to them. When it became known in the 1990s that some of these communities had been damaged by bottom trawling, such fishing was banned in the most vulnerable zones from the winter of 1992. [REMOVE]Fotnote: Store norske leksikon, https://snl.no/korallrev. A number of new reefs have been identified in recent years, and the Norwegian Institute of Marine Research found in 2015 that they needed special protection. [REMOVE]Fotnote: Jan Helge Fosså, Tina Kutti, Pål Buhl Mortensen and Hein Rune Skjoldal (2015): Vurdering av norske korallrev. Report from the Norwegian Institute of Marine Research no 8. This has since been introduced by the Ministry of Fisheries. The seas off mid-Norway contain the largest number and greatest density of reefs. Some large coral banks discovered there are estimated to be around 7 000 years old. Some reefs grow along the outer margin of the continental shelf, while others are found on the shelf itself and in the fjords. 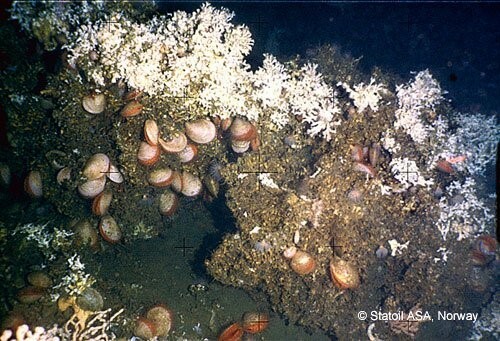 The Sula Ridge is special in that countless small reefs have coalesced into continuous structures of unique size. This area contains the world’s largest coldwater coral bank in deep seas. Located in 280-300 metres of water, this reef is 13 kilometres long, up to 35 metres high and 700 metres wide. The complex grows on long ridges raised high above the surrounding seabed. A reef complex comprises hundreds or thousands of corals which are so closely packed that they have combined into great continuous units. Currents in the areas of reef growth can vary and flow from various directions, which provides good growth conditions on all sides. None of the reefs are entirely similar in shape or size, and vary from tear-shaped to long banks. More or less circular reefs stand apart, with living colonies atop a zone of crushed coral on the surrounding seabed. Generally speaking, reefs flourish on sites a little higher than the general sea bottom – on ridges, for example, the edges of fishing banks, atop iceberg ploughmarks or on fjord thresholds. L pertusa also thrives along steep cliffs in the fjords. The deepwater reefs are home to a great variety of other species, and appear to be a preferred habitat for such fish as redfish and cusk. Blackmouth catshark and rabbit fish can also be found more often over reefs than elsewhere on the seabed. Furthermore, corals are important in the carbon cycle and thereby play a significant role for fauna and the ecosystem over a wider area than their actual physical extent. [REMOVE]Fotnote: Jan Helge Fosså, Tina Kutti, Pål Buhl Mortensen and Hein Rune Skjoldal (2015): Vurdering av norske korallrev. Report from the Norwegian Institute of Marine Research no 8. One of the most distinctive L pertusa reefs lies a couple of kilometres east of the Draugen field. It was found in 1994 when Statoil was mapping the Haltenpipe gas pipeline route. 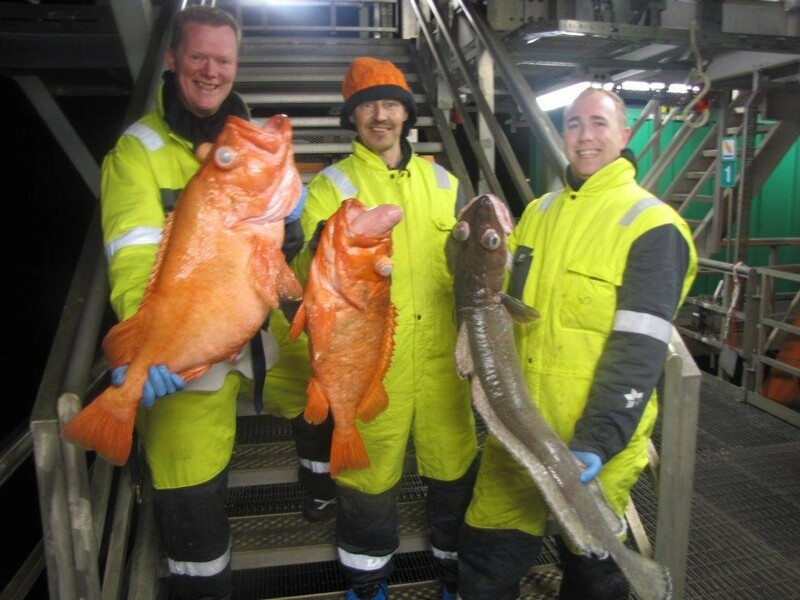 This exciting discovery prompted the Institute of Marine Research to conduct detailed mapping in collaboration with the Geological Survey of Norway using multibeam echosounding. That in turn has prompted the rerouting of pipelines and the relocation of anchors for floating units. [REMOVE]Fotnote: http://www.geo365.no/olje-og-gass/tralfisket-har-odelagt-korallrev/ Haltenpipe was rerouted past the Husmus reservoir, part of the Draugen area. Lying a few kilometres from the field, these “Haltenpipe reefs” are typical examples of a coral complex. Standing five to 30 metres high, they measure up to 50 metres across. 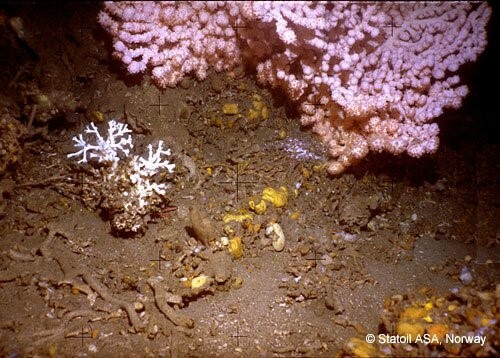 A Shell study of threatened marine fauna on Draugen in the autumn of 2011 indicated that some coral structures exist in the area around Draugen, close to existing pipelines and the G-3 well. 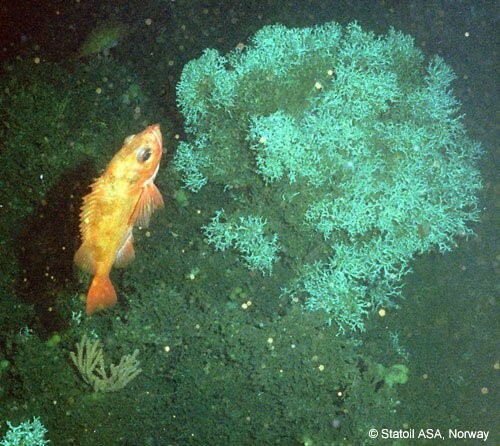 Det Norske Veritas analysed acquired videos and photographs in 2012, and concluded that there were no red-listed sponge species or habitat types. But red-listed corals were observed in places. 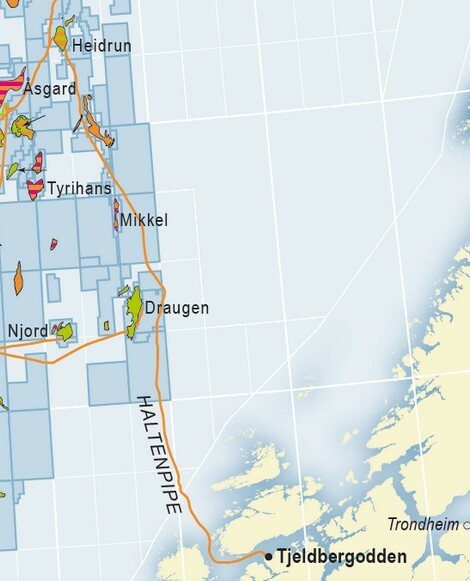 No good topographical maps of the seabed exist in the Husmus area, where the Draugen water injection well sits, other than some data acquired in connection with Haltenpipe. These show a few scattered reefs. The seabed along the Haltenpipe route comprises soft clay and its topography is flat in a water depth of 290 metres. Numerous depressions measuring 100 metres wide and 10 deep are found there. A few kilometres north of the pipeline, the terrain changes to a seascape characterised by ridges and the water depth reduces to 280 metres. L pertusa reefs close to Husmus are found on the tops and sides of some of these strange ridges. Only two of the reefs have been documented visually. Seismic surveys suggest that deposits of frozen methane (hydrate) are found beneath the seabed around the ridges, which melt as they rise to the ridge tops. But it remains to early to say whether the phenomenon has any special significance for the marine biology of the area. Shell has issued its own coral guideline in accordance with the Oslo-Paris convention for the protection of the marine environment of the north-east Atlantic (Ospar). This is used in planning new activities in areas where corals are found. When the Draugen platform arrived on the field in 1993, it had to be connected to production tubing, umbilicals (control cables) from satellites, export pipelines and so forth. This job went to Subsea Dolphin. All the hatches at the bottom of the Condeep concrete gravity base (GBS) structure were to be opened with the aid of remotely operated vehicles (ROVs). The lower part of the GBS had been cast at Hinnavågen in Stavanger, while slipforming of the tall monotower shaft took place in the deep fjord at Vats further north. Subsea Dolphin was involved as early as the latter stage. Arild Jenssen, one of the company’s ROV pilots, remembers this phase well. [REMOVE]Fotnote: Arild Jenssen in conversation with Kristin Øye Gjerde, 31 March 2016. These devices were used inside the GBS because the shaft was filled with seawater once the platform had been installed on the field, and they could therefore move around as required. Preparing for internal ROV work while readying the platform for tow-out proved a special experience because of the motion in the shaft, which was several hundred metres tall. That meant the tubing which ran from the base of the structure through holes in the intermediate decks banged against the sides of these apertures. This in turn generated vibrations and a “bong, bong” sound almost like church bells. The ROV pilots wanted to insert wooden wedges in the holes to prevent the slamming, but the engineers from builder Norwegian Contractors maintained that this motion was as it should be. Like the other Condeep concrete platforms, the Draugen GBS had cylindrical storage tanks clustered around the central shaft. The latter contained about 70 metres of water during towout, while a big tank also held ballast water. A concrete pipe with a square cross-section ran down the centre of the shaft to a “mini-cell” at the base of the platform. This extended upwards from a depth of 250 metres to 180 metres. The mini-cell contained piping positioned beneath the other storage cells for pumping out grout in order to fill the spaces beneath the GBS and stabilise the ground. Installed in 250 metres of water, the platform ended up 0.3 degrees out of true – which added up to a horizontal offset of 1.5 metres at the topside height of 300 metres. Although this was a very small deviation, it was enough to create a few problems for guiding the ROVs through the narrow aperture in the various intermediate decks. Another issue was that the platform started to sway once it was finally in place. It had been known that skyscrapers could oscillate many metres in strong winds, and the Draugen structure was expected to behave similarly in response to wind and waves. But this platform was the first design of its kind, with only a single shaft, and the swaying created a good deal of concern among control room staff. “A plumb line hung from the ceiling there, and moved in big figures of eight,” Jenssen relates. Since it made people nervous and had no practical significance, the plumb was eventually removed and the workforce became used to the motion. Drawing of Storage tanks and pipes inside draugen. The ROV pilots had to familiarise themselves with the GBS design before the shaft was water-filled, so that they would be able to guide their vehicles down at the bottom. To reach the base of the structure, they first had to take a lift through the narrowest section of the shaft to the deck where the mini-cell started. They then transferred to a lift inside the mini-cell itself to the bottom of the shaft, where they could see the pipes which extended beyond the concrete wall. “To seawater”, the sign read. Hatches in the shaft were to be opened with the aid of ROVs once the space was water-filled in order to pull in the conductor tubing. These in turn were where flowlines with oil and gas, umbilicals and control lines would enter the platform before passing up the shaft to the topsides. Work could start as soon as the mini-cell was filled with water. 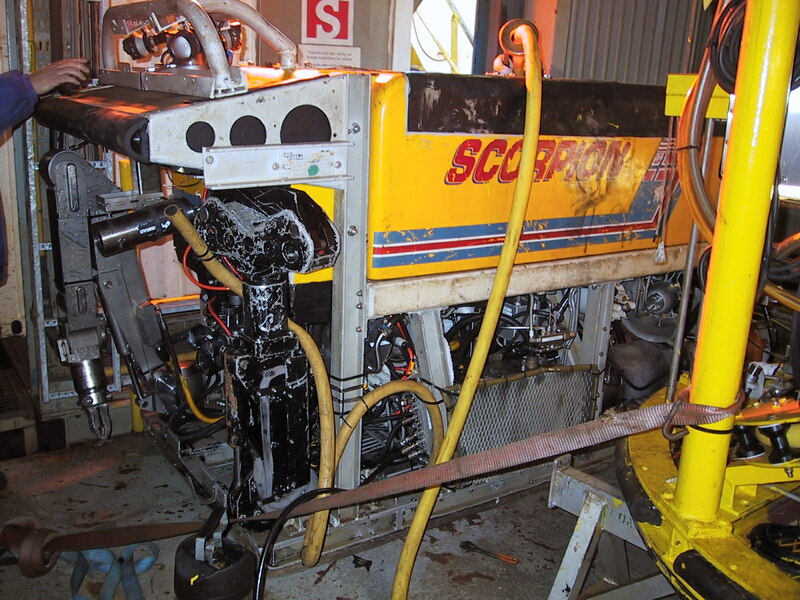 Two ROVs were used in the shaft – a Sprint observation model with cameras and a big Scorpio with manipulator arms. But the problems posed by the 0.3-degree slant now manifested themselves, since the Scorpio could no longer be easily lowered as intended through the square holes in the various shaft decks. The machine suffered considerably from the buffeting it got on the way up and down because it was difficult to hit the openings exactly. In the lowest spaces, which were water-filled, the pilot had to use the propellers to manoeuvre the ROV into position to pass through the holes. If things went really badly, the umbilical could be damaged and the machine would shut down. The only option then was to haul on the cable to get the ROV out. 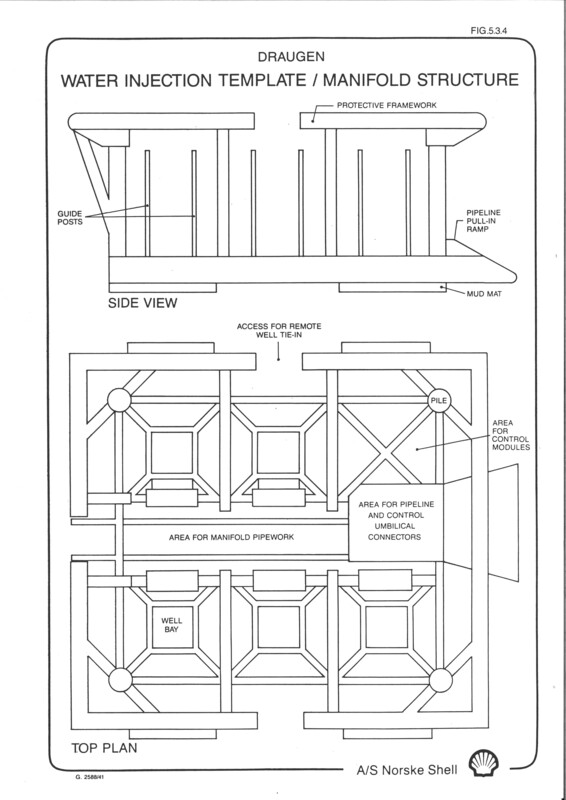 A big framework containing cylinders and cabling meant the lifting point on the Scorpio could be moved to the best possible position before and after dives. It was not easy to work With a Scorpio inside Draugen. The pilot sat safe and dry high up in a container on a topside deck and controlled the ROVs as they removed the temporary hatches used to seal the platform during construction and towout. But the work was demanding. The machines had to be manoeuvred through a jungle of pipes, bracings, cables and decks in very poor visibility. The pilots usually “flew” with the aid of sonar images as they hunted for the hatches to be removed. In many cases, the space available was only just enough for the ROV to work. Flexible risers connected the platform to the subsea installations, and entered the GBS through J tubes which opened at the seabed. Pulling the risers into these tubes was accomplished using a wire lowered down the shaft with the aid of the ROVs. Once everything had been hooked up, the contract for subsea work during the production phase was awarded to Stolt Comex Seaway and its machines replaced the Subsea Dolphin ROVs. The ROV’s had to do a lot of work inside Draugen. They conducted annual inspection and maintenance work. And several years of repair work were required inside the shaft after cracks had been found in the GBS base around the conductors. [REMOVE]Fotnote: Arild Jenssen in conversation with Kristin Øye Gjerde, 16 April 2016. 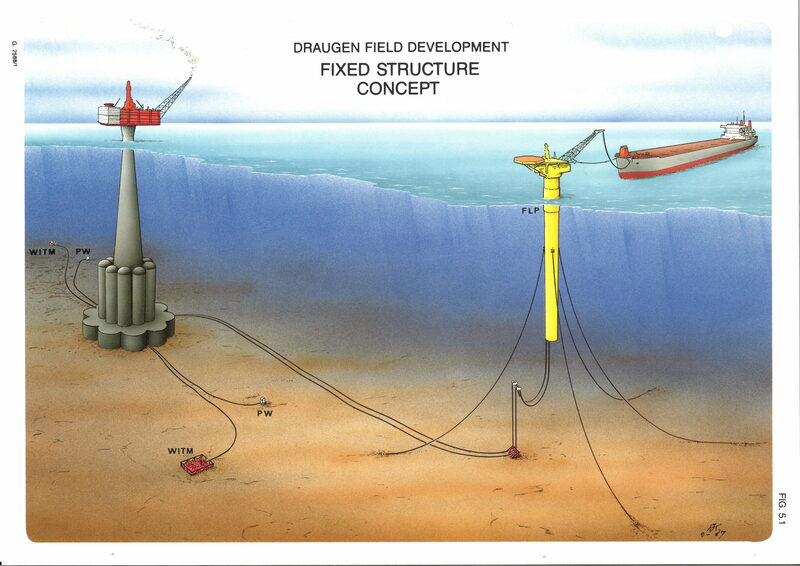 When Shell planned the Draugen development, the project included the installation of various subsea facilities and other work in 250 metres of water. 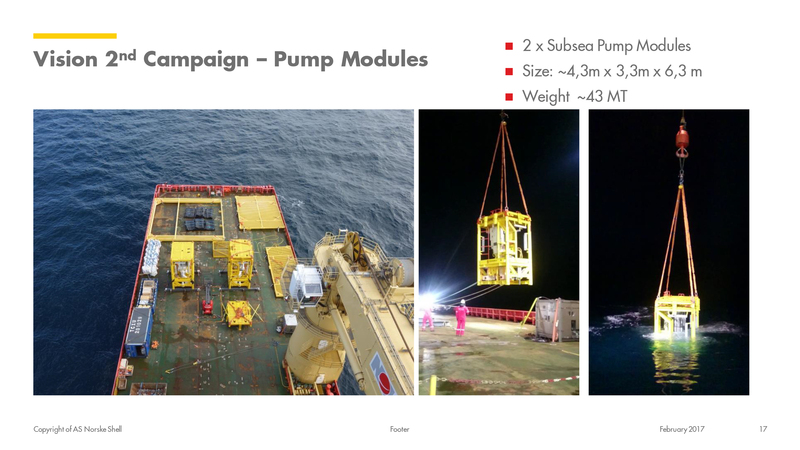 This included positioning a subsea pump and manifold as well as modules from Kongsberg Offshore, opening and shutting valves in deep water, connections and maintenance jobs of various kinds. The Draugen underwater installation services (DUIS) contract was won in 1992 by Stolt-Nielsen Seaway, a specialist with diving and remotely operated vehicles (ROVs). Based in Haugesund north of Stavanger, this company had to make a rather unusual acquisition in order to satisfy Shell’s technical specifications for the work. Plans called for ROVs to be used to carry out subsea work for the platform, since saturation diving by humans was not feasible at these water depths. Several types of such vehicles were relevant, including crewed systems which kept the person doing the seabed job under atmospheric pressure no matter how far down they were. The other principal solution was an ROV operated from a control room on a rig or ship without any people needing to go underwater. Stolt-Nielsen Seaway had an ROV on its diving support vessel (DSV), but Shell wanted a back-up in case this vehicle ran into problems. Eric Lutzi is trying an ADS – an armoured diving suit which is suspended from a cable and provided with lifting equipment on the DSV. The operative stand inside it like an astronaut, with a transparent dome for vision. Photo: Eric Lutzi / NOM. Diving could be an option, and successful test dives had already been conducted down to 250 metres and beyond. But demonstrating (qualifying) that descents to these depths could be conducted safely was both expensive and very demanding. [REMOVE]Fotnote: Joar Gangenes by email to Kristin Øye Gjerde, 13 October 2017. Instead, Shell specified that the company must have an atmospheric diving suit (ADS) available as a back-up in order to secure the contract. An ADS was an armoured diving suit suspended from a cable and provided with lifting equipment on the DSV. The operative/diver stood inside it like an astronaut, with a transparent dome for vision. Although able to walk on the seabed, he lacked the mobility of a diver. Having won the job, Stolt-Nielsen Seaway had to invest in this system. It was purchased from a Canada-based company via Draeger and proved extremely expensive. [REMOVE]Fotnote: Joar Gangenes by email to Kristin Øye Gjerde, 13 October 2017. 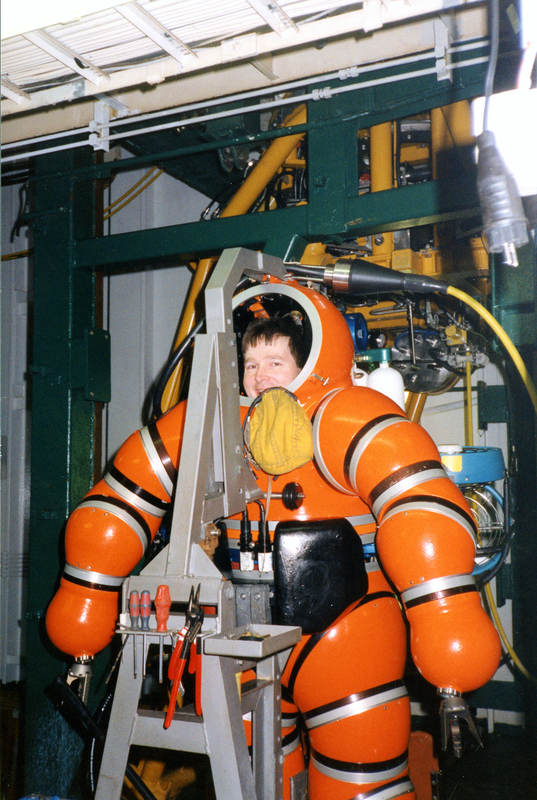 A test programme established that getting a person inside this suit to do effective work was almost impossible. It was accordingly never used. Fortunately for Stolt-Nielsen Seaway, Shell proved willing to bear the whole cost of both investment and testing. It regard this as research and development work. Kåre Johannes Lie, who followed up this acquisition from the contractor’s side, found the whole business unfortunate and felt spending money on an unnecessary system was a bit of a waste. [REMOVE]Fotnote: Kåre Johannes Lie in an interview with Kristin Øye Gjerde and Arnfinn Nergaard, 9 August 2017. Subsea installation work was performed with the aid of the module handling system on the DSV, which had been developed earlier by Stolt-Nielsen Seaway in collaboration with Elf. 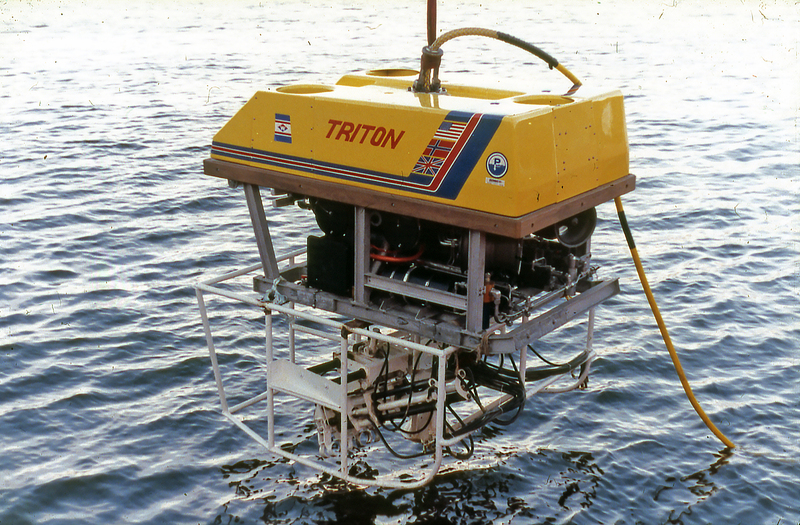 During the 1990s, the contractor also used the newly developed and powerful Perry Tritec Triton ROV from Oceana Subsea Ltd Perry Inc in Florida. The most popular ROV on the Norwegian continental shelf in the 1990s, this unit could descend to 1 000 metres and perform subsea observation, sonar searches, seabed surveys and mechanical jobs. With a deployment cable (umbilical) which incorporated the necessary communication lines, the Triton was able to remove and replace components on the seabed. It featured two powerful manipulator arms developed by Shilling in the USA and remotely operated via a fibreoptic cable in the umbilical. The package also included a cable drum, winch, power transmission unit and control room. Its control system ran an electric pump which drove the propellers and other gear. Hydraulically powered thrusters provided propulsion in the sea. In addition came dedicated systems for lifting the ROV and its basket from the deck and into the sea. Triton ROV was used at Subsea work near Draugen. Photo: NOM. The plan for development and operation (PDO) of Draugen submitted to the Storting (parliament) in 1988 gave the field a producing life until 2012 and a recovery factor of 37 per cent. When it came on stream in 1993, however, operator Shell was already working to both extend and increase output. By 2017, Draugen’s producing life had been extended to 9 March 2024 and its expected recovery factor was put at 75 per cent. These forecasts have changed gradually, as technological advances in the oil industry permitted production improvements. But the reservoir has nevertheless yielded surprises along the way. Shell could report in 2001 that recoverable reserves in Draugen were larger than earlier thought. Use of four-dimensional seismic surveys improved geological understanding of the reservoir, which was also behaving better than expected. A number of the wells were producing very well. Draugen’s producing life was extended to 2016 and the expected recovery factor increased to 67 per cent. In the longer term, the goal was to recover at least 70 per cent – assuming that the field remained commercial beyond 2016. [REMOVE]Fotnote: Adresseavisen, 5 February 2001, “Draugen leverer olje helt til 2016”. To increase production from and producing life for the Draugen area even further, Shell now planned development of the Garn West and Rogn South subsea wells. These would be tied back to the Draugen platform and increase reserves by about 81 million barrels or 13 million standard cubic metres (scm) of oil. That was nine per cent of the field’s 144.2 million scm in recoverable oil. [REMOVE]Fotnote: http://factpages.npd.no/factpages, 26 October 2017. This decision built on rapid improvements during the 1990s in the methods for tying subsea wells back to fixed and floating offshore installations. Discoveries too small to justify their own process platform could use relatively cheap, standardised subsea systems tied back to a fixed platform, a floater or even land. And unprocessed wellstreams could be sent over ever longer distances with advanced multiphase flow technology. Development of small satellite fields had become a profitable business, which proved a boon for oil companies around 2000 when oil prices slumped towards USD 10 per barrel. An advantage of subsea wells was that they were quick to install and start up. Located at the westernmost edge of the Draugen area, Garn West was the first to be tapped with the aid of two seabed wells tied back by a 3.3-kilometre pipeline in the summer of 2001. [REMOVE]Fotnote: Adresseavisen, 5 February 2001, “Draugen leverer olje helt til 2016”. The Rogn South development was approved in the spring of that year, and Transocean Winner drilled and installed two subsea wells in 2002 so that they could come on stream the following January. Their wellstreams are routed via Garn West (see map). These satellites helped to increase and extend oil production from Draugen – which was advantageous as oil prices staged yet another recovery after 2002. Norske Shell could report in 2001 that it was investing NOK 1.5 billion in developing Garn West and Rogn South. [REMOVE]Fotnote: Adresseavisen, 30 May 2001, “Draugen større”. Among those winning contracts were Kværner Oilfield Products AS at Lysaker outside Oslo, which delivered the subsea systems. 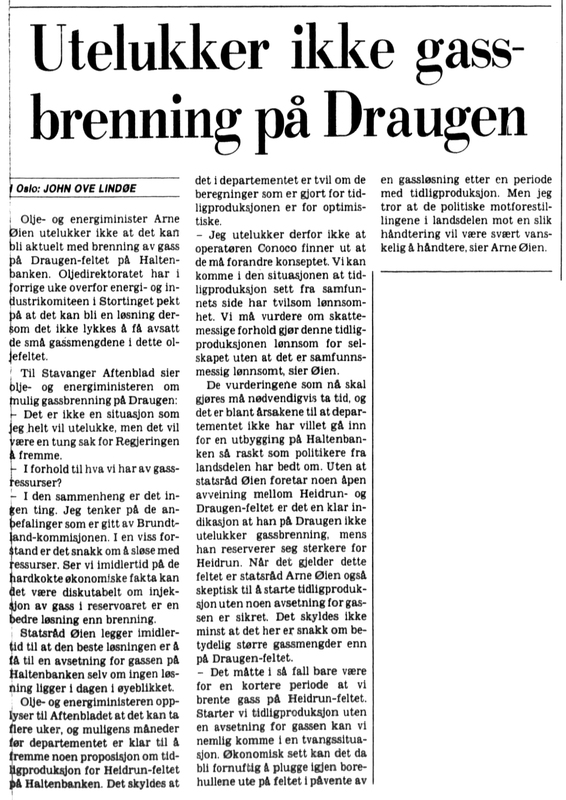 [REMOVE]Fotnote: NTB, 6 June 2000, “Draugen utvides for 130 millioner kroner”. The Kristiansund business community also did well, with Aker Møre Montasje and Vestbase – the biggest local suppliers – securing work in the order of NOK 70-90 million. Coflexip Stena Offshore won the pipelaying job, while the new water treatment system on Draugen was produced by Aker Offshore Partner at Stord. [REMOVE]Fotnote: Adresseavisen, 30 May 2001, “Draugen større”. Production from Draugen was highly promising in 2001. It was at its highest-ever level of 12.87 million scm of oil equivalent (oe) per year – almost too good to be true. This annual output of oil, gas and condensate equalled as much as the total expected recovery from Garn West and Rogn South combined. Oil equivalent – saleable (mill scm) Annual production from Draugen measured in oil equivalent (oe). The latter is a measure of energy which corresponds to burning a specified amount of oil. One oe equals the amount of energy released when one cubic metre of crude oil is burnt. It is used by Norway’s petroleum administration to specify the total energy content of all types of petroleum in a deposit or field by summing equivalent quantities of oil, gas, natural gas liquids (NGL) and condensate. The field nevertheless showed some signs of production weaknesses. As the oil was produced, the level of water in the reservoir rose and its proportion of output (or cut) increased. In June 2002, Shell reported that the water cut had risen to 35 000 cubic metres per month – a trebling from six months earlier. Well A1, which only contained 10 per cent water in its oil output at 30 March 2002, increased this cut to 30 per cent over a three-month period. With a record output of 77 000 barrels of oil per day (bod) making it the best of Draugen’s wells, A4 had to be shut down because of the salts being precipitated. These threatened to block the pores in its walls – a sign that the area being produced was approaching depletion. Production from the field was nevertheless not particularly reduced, since the other wells were increasing their output. [REMOVE]Fotnote: Adresseavisen, 11 June 2002, “…mens vannet stiger i Draugen”. All the same, it transpired over the years which followed that the amount of oil and gas produced went down as the water cut rose. By 2010, production had fallen 20 per cent or 2.6 million scm oe from the peak year of 2001 and water output was approaching eight million scm. Something had to be done if Draugen was to stay on stream. As part of Shell’s environmental improvement programme, a project for produced water and reinjection on the field had been launched. The reinjected fluid would be used for pressure support. Advanced new seismic surveys identified a number of oil pockets in the area. That led in 2012 to a plan for drilling a further four new wells. These would help to produce fuel gas for power generation on the platform, operations head Ervik explained. [REMOVE]Fotnote: Tidens Krav, 3 February 2012, “Langt liv for Draugen”. The electricity was intended partly to drive a new pressure support pump. Shell contracted with Seadrill to use West Navigator for the subsea wells in this Draugen infill drilling programme to help boost oil production from the field. These wells were due to come on stream at the same time as a subsea boosting pump was installed in 2017. [REMOVE]Fotnote: http://petro.no/far-bruke-havbunnsbronn-pa-draugen/2235 05.09.2014. The project also covered a subsea tee manifold on Rogn South. In addition came 19 kilometres of new production flowline, 11 kilometres of umbilical cables and 52 tie-ins. See the next figure. Installing a boosting pump system in the pipeline flow from the subsea templates was expected to improve recovery, and initially involved installing a protective structure. This was followed a manifold and two 3 000 hp pumps operating in parallel. The latter units are not especially large. Each compressor has two vertically positioned motors which rotate in separate directions to increase pressure in the wellstream from the pump up to the platform’s process plant. The pumps create a vacuum in the direction of the reservoir, which means in theory that the formation will release more oil (and water). Output in 2016 was 1.35 million scm oe, a slight decline from 1.72 million in 2015. But oil production from Draugen had visibly increased in 2017 as a result of the new pump system. This successful result means that Shell now intends to try out similar technology on other fields elsewhere around the world.